We live to tell your wedding story, to capture, the joy, love, and laughter of your very special day. When we first meet, we will get to know each other and build a report so that we can draw out the most momentous moments of your wedding day.  The Riviera is a hidden gem located on the waterfront of the Great South Bay. It is a stunning, family owned and operated wedding venue, which has been providing a setting for memorable occasions for more than 85 years. You’ll find the landmark facility on Nassau Shores in Massapequa, New York. It is the perfect location for your momentous event. When you first experience the Riviera, you will be delighted with the stunning views of the Great South Bay with its unique seasonal changes. The Riviera is nestled within acres of elegantly manicured grounds providing you with beauty and tranquility within a private setting. The venue boasts professional, courteous staff and European-trained chefs who are dedicated to providing the ultimate personal service on your special day. The Riviera is renowned for its commitment to the highest level of services and dining quality; it is sure to exceed your expectations. If you want a venue that combines style, elegance, and charm, look no further. Your wedding will include a five-hour open bar service with top-shelf liquors, beer, wine and soft drinks. For your cocktail hour, you can choose two types of meat from a selection of delicious carving station options. A wide selection of hot chafing dishes and hot and cold hors-d’oeuvres are also available. For your formal wedding banquet, there are many sumptuous gourmet options to choose from. It’s one of the most important days of your life, and you should feel like a princess, and you certainly will when you see the Riviera’s bridal suite. Situated on the second floor, the Cinderella bridal suite was designed especially with you in mind. In this luxurious bridal suite, you will find all the comforts of home so that you can relax with your closest friends as you prepare for your ceremony. The recently renovated suite is complete with its own private bathroom. It also features a large balcony and an inside terrace balcony which overlooks the ballroom’s dance floor. Let’s get together soon and discuss the plans for your Riviera wedding. You can browse through our portfolio for wedding photo ideas, and we can discuss your plans for the ceremony. We are looking forward to making beautiful memories that will last forever.